These are supposedly sound bites and phrases of The Hulk from the upcoming movie THE AVENGERS, all taken from Hasbro's electronic 10-inch 'Super Smash Hulk AFCS' action figure. Click on each link to see what you think! NOTHING CAN STOP THE HULK! 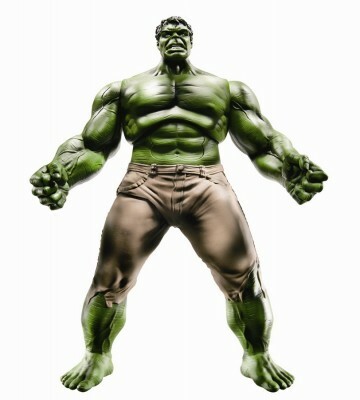 HULK READY FOR FIGHT...LETS GO SMASH! YOU WANT MORE? HULK GIVE YOU MORE! Lou Ferrigno has revealed he recorded his voice-overs back in January but these toys were probably developed way before then. Either way, this is probably close to what the green giant will sound like. We'll find out on May 4th when The Avengers hit theaters.